In 2010 Kathy picked up more awards at the Gallup Inter-Tribal All Indian Ceremonial, including a First Place and Best of Category. 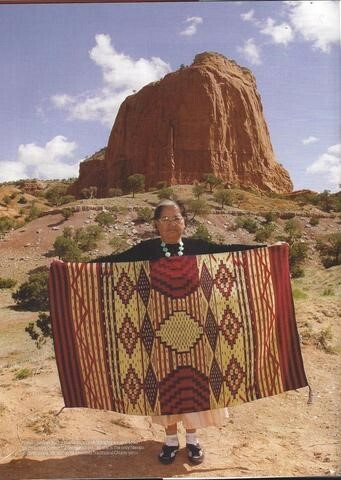 At the Indian Market, her work is always sought-after by collectors, as she is one of the few Navajo weavers using silk and alpaca in addition to traditional Churro yarn. For the Navajos weaving is an inherited occupation. Traditionally little girls learn it from their grandmothers, or in Kathy’s case, from her own mother, who learned it from generations before. Kathy Marianito is a true descendant of master weavers. Her lineage doesn’t come any better, because her great-great-grandmother Juanita was considered one of the finest blanket weavers in the 1870s and 1880s. 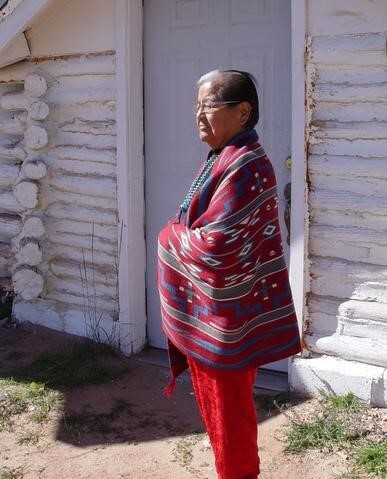 Juanita’s husband, Manuelito, was one of the most prominent leaders of the Navajo people.”  It was Manuelito, Kathy’s great-great-grandfather, who was instrumental in negotiating the Navajos release from Fort Sumner and Bosque Redondo in 1868, returning to their homeland, the only displaced tribe allowed back on their true native soil. There were other lessons too, such as how to wash the sheep's wool, and then dry and card it, spinning and dying it different colors using plants such as sage for green, sunflowers for yellow or green tumbleweeds for black wool. “We tried everything,” she says with a laugh. When she was 15, however, lessons such as these came to an abrupt end. That’s when she was told she was about to be married to a man she didn’t really know. “That was tradition,” she says. “But I don’t want to get married at 15 years old.. got a lot of dreams and all that.. didn’t have time to hand around and be a wife. So.. I took off. 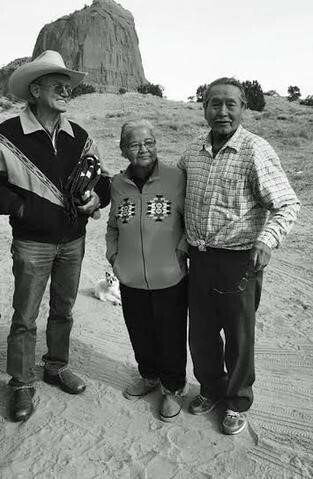 Along the way Kathy met Lorenzo Marianito, a Navajo medicine man who also came from a family of weavers. This time she did not run away, and their marriage has remained strong, like her weavings. Her eyes still sparkle when she looks at him, and there’s a definite twinkle when she watches her grandson Sean, who often is by her side as she weaves.